In my car, I keep bandaids for small injuries, jackets for cold weather, spare clothing for spills or accidents, extra diapers, wipes, pens for all sorts of writing needs, feminine hygiene items (though I now use the cup), hygiene/food bags for homeless, blankets for the park, DVD's for long car trips, CD's for rocking out, tweezers from the time my husband got an in ear monitor stuck in his ear before worship, a stroller for restraining my 3 year old runner, and other random junk. About six months ago, I added a pair of scissors to my car storage. I have only had to use them once (for something as simple as cutting a plastic tablecloth in half at the park), but they're there. And they are probably one of the most important "what if" items I keep in my car. This first story makes my heart sick every time I think about it. Last year, a group of Graco car seats (almost 4,000,000 of them!) were recalled after the buckles were being reported to occasionally get stuck. There were 74 complaints where people had to cut the buckles to remove their children. In one very unfortunate instance, a woman's car was on fire after an accident and the car seat buckles were jammed on her two year old daughter. She helplessly watched her child die in the car fire, stuck in her car seat. If she had had access to a pair of scissors, the outcome may have been drastically different. Her child might have been alive today. My husband always carries a knife with him, but I don't typically have anything I could use for cutting a seat belt on me. 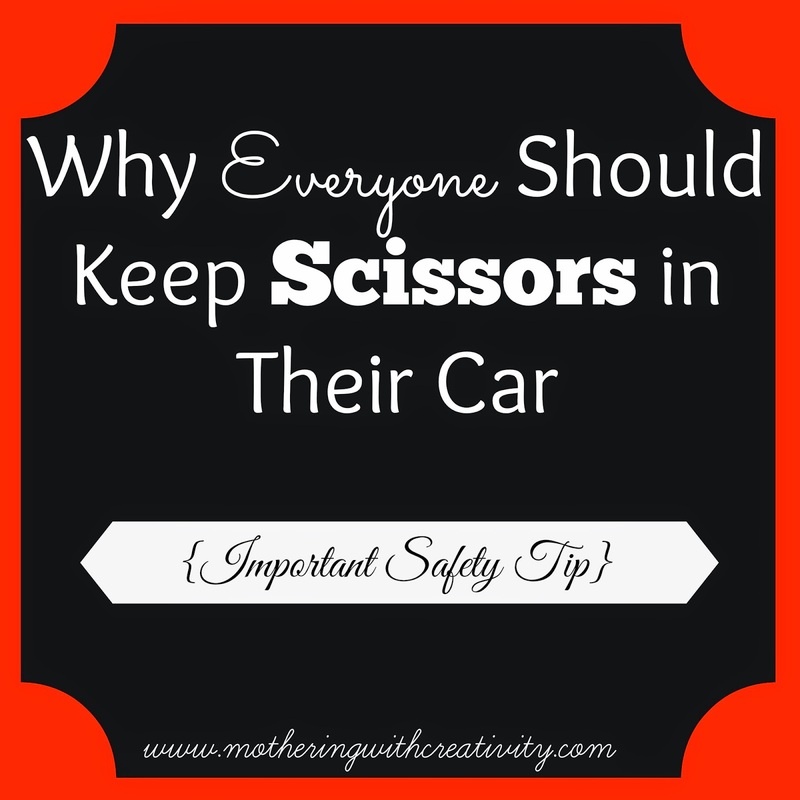 Having access to a pair of scissors is SO important for instances of a jammed seat belt. It may just save a life. The second story I read last year that led to my scissor-keeping decision was a story of a little girl playing in the car alone while her momma talked with a friend outside the car door. At some point, the mom thought her daughter was much too calm. 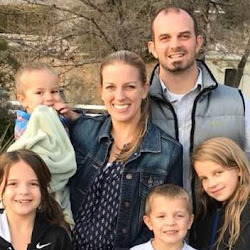 She opened the back door to her car, and saw that her daughter had been playing with one of the seat belts and had inadvertently tied it around her neck. She was stuck, slowly suffocating, and all tangled up. As her mom tried to free her, the buckle pulled tighter and tighter. Since they were in a school parking lot, the mom's friend had sense to run into the school and grab a pair of scissors. She ran back out and quickly cut the girl free. She lived, but was traumatized and badly bruised. And I'm guessing the mom was also traumatized! If these two stories don't convince you to keep a pair of scissors in your car, I might just have to call you crazy. Please, please, please keep a pair of scissors in your car. It may save a life someday, though hopefully they'll never need to be used. Update: A few have commented on Facebook about having a seat belt cutter. If you have one of those-even better! But, as someone who always forgets to buy those odds and ends things when I'm shopping...I know that EVERYBODY has scissors in their home that they can grab RIGHT NOW to put in their car. If you want to buy a seat belt cutter online, however, and you have a few extra bucks in your budget this month, you can find them for pretty cheap on Amazon HERE.